Bishop says dramatic change needed to end years of abuse of power. 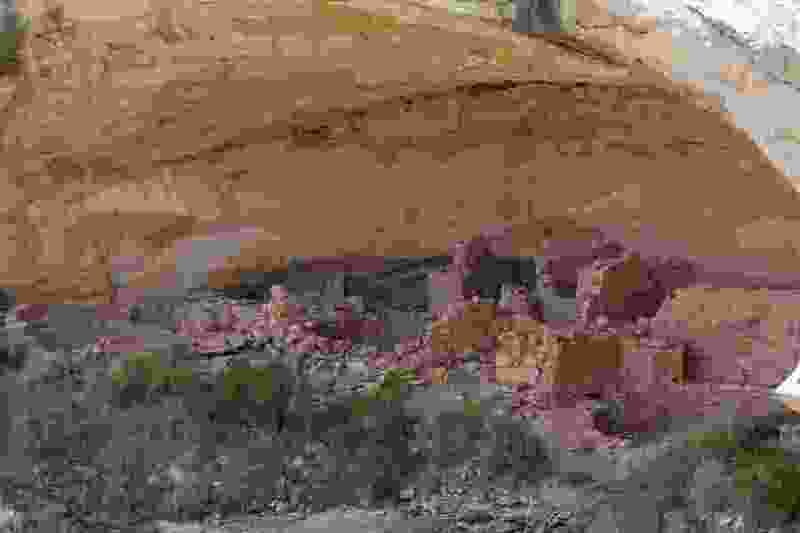 Francisco Kjolseth | The Salt Lake Tribune Interior Secretary Ryan Zinke tours the Butler Wash Indian ruins within Bears Ears National Monument in southeastern Utah. Interior Secretary Zinke is touring the monument, including Grand Staircase-Escalante National Monument this week as part of a review order by President Trump. Washington • The House Natural Resources Committee on Wednesday advanced legislation to severely limit a president’s authority to name new national monuments while essentially killing Democrats’ request for more transparency in President Donald Trump’s review of monument designations in the last 21 years. The bill, approved by the committee on a party-line vote and sponsored by its chairman, Rep. Rob Bishop of Utah, would curtail use of the 1906 Antiquities Act that gives presidents power to name monuments. It would require a president to seek approval of counties, the legislature and the governor in the state where a monument larger than 10,000 acres was to be named. It also would limit the reasons for a monument designation. Republicans have long sought to pull back presidential power under the Antiquities Act, but Bishop’s legislation could be their best hope in recent years. The bill sets up a tiered system for a president to name a monument, allowing designations with no restrictions of less than 640 acres, an environmental review of monuments up to 10,000 acres and local and state approval for monuments up to 85,000 acres. Monuments larger than 85,000 acres would require state and local approval and an environmental review. A president could still name a monument of any size in an emergency, but it would expire in a year without congressional action. Rep. Raul Grijalva of Arizona, the top Democrat on the committee, said Bishop’s measure “essentially destroys” the Antiquities Act. Grijalva noted that under the bill, Trump Tower in Manhattan could be protected but not the Grand Canyon. Bishop countered that Trump Tower couldn’t be made a monument because it’s private property. Democrats raised concerns during Wednesday’s meeting that Bishop introduced the bill only last week and held no hearing on it before calling a vote. The legislation was introduced quickly after Democrats pushed a resolution seeking more transparency in the Interior Department’s monument review. The committee on Wednesday – again on a party-line vote – allowed that resolution to be reported to the House “unfavorably,” a move that would likely keep it from a full vote. The measure requires the Interior Department to turn over all documents related to its Trump-ordered review of monuments created since January 1996. Bishop called the Democrats’ effort “futile” and noted that his legislation requires transparency in perpetuity and has the force of law while the minority party only wants the information from one president. “I find it worth noting that while the minority seeks greater transparency when it comes to a review of the national-monument process, it seems entirely content to leave the monument-creation process hidden, behind closed doors, outside of the public eye,” Bishop said. Had Bishop’s legislation been law, conservationists point out, most of Utah’s five national parks and other protected acreage would not have met the criteria to be preserved under the Antiquities Act, including Bears Ears and Grand Staircase-Escalante national monuments, and Zion, Bryce, Arches and Capitol Reef national parks. Four of Utah’s five national parks were first created as national monuments. Ujifusa noted that while Bishop’s legislation may get traction in the House, it may not find a welcome in the Senate, where Republicans hold a small majority. Democrats and environmentalists found a silver lining in Bishop’s measure, though, noting that his bill grants the president the power to reduce the size of monuments — proof, they say, that such authority doesn’t exist in current law. Every president since Teddy Roosevelt has used the Antiquities Act to name monuments, though Republicans claim it’s been abused by recent administrations, specifically by Obama, who named the 1.3-million-acre Bears Ears National Monument in southern Utah just weeks before leaving office. Interior Secretary Ryan Zinke has recommended trimming that monument and the Grand Staircase-Escalante Monument designated by President Bill Clinton in 1996.